At Zistos Corporation, we are continuously advancing the capabilities of our products to offer increased functionality and value for our systems. Our most recent upgrade was to our 5.6” LCD DVR “WalkAbout” Display. Our new enhancements include a built in GPS Receiver, a WiFi Interface to transfer images and a Bluetooth Interface to control and accept data from other sensors and smart devices. With the addition of a GPS receiver, you will be able to get coordinate data of wherever you are standing. The latitude and longitude coordinates will appear right on the screen, which – when united with the current DVR capabilities of the WalkAbout – allows you to record/archive every inspection and/or mission, not only with images, dates and times but exact geographical locations. Another recent enhancement to our WalkAbout Display was the inclusion of a WiFi Interface which works simultaneously with the already existing DVR platform. Having this WiFi Interface allows an operator to snap a picture or record a video clip and share it directly with others, who may not be present at your location. This process is achievable through a smartphone application that simply receives the still images and video transmissions from our WalkAbout to a smart phone via the WiFi link. Once the images/videos are on your phone, they can be shared to a cloud based storage media, or through email, text or any other form of communication. The system can also be linked to through an existing network to a common computer or other resource. The final enhancement in this series of upgrades is the wireless Bluetooth Interface. This interface allows us to slave other devices to our system such as a laser ranger finder. The laser range finder can be attached to one of our camera heads and can be slaved to the display control buttons. Whenever you press a control button the range finder can generate a distance to any object that is visible on the video screen. The distance reading appears directly on the video screen, layered on top of the video image. Our new display unit that includes these new features add a lot of value and capability to our system. The new display is fully compatible with EVERY Zistos system that has ever been created. This compatibility allows you to add these new benefits to any existing system. If you would like more information on any of our new enhancements or would like a product demonstration, please contact us and we would be happy to accommodate you. 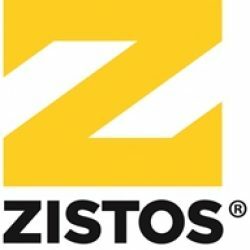 For more information about Zistos portable video inspection systems, visit our website, or call us at (631) 434-1370 to request a free, no obligation product demonstration. The first stage of any maintenance repair operation is a visual assessment of equipment and conditions. There are many instances where these maintenance and repair operations involve equipment and environments that are within a confined space. Confined space entries can be dangerous and have regulations and safety mandates that increase the safety, but also increase the cost and complexity of the operation. By using remote video inspection tools from Zistos Corporation, the number of confined space entries can be reduced and in some cases eliminated entirely. By utilizing these tools it is possible to both increase the safety of an operation, while at the same time reduce the overall maintenance costs to facilitate. to predetermine what tools or replacement parts may be necessary to complete a repair. In addition, the initial assessment is necessary to help insure the safety of workers involved by allowing them to identify any potential hazards in the area (such as leaking high pressure lines or arcing electrical connections), that could pose a hazard to those working in proximity. As a result of these dangers, OSHA has strict regulations and procedures that must be followed when an individual must enter a confined space. These procedures are intended to reduce the risk of injury to an individual that must enter the space, but the increase in safety comes at a cost. They require additional manpower, equipment, training and administrative considerations to be safe and compliant with regulations for confined space entry. 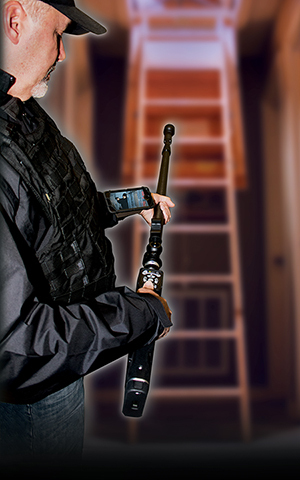 A remote video inspection tool such as the Industrial Zoom Pole Camera from Zistos Corporation, allows the worker to make this visual assessment safely outside of the confined space – without the need for entry. The camera system allows the operator to insert the camera into the confined space envelope and view/record the area and equipment for problems using a variety of different camera technologies, such as zoom, low light and even thermal imaging. This required first step involving a visual assessment of conditions can be completed outside of the confined space. This has the benefit of increasing the safety and reducing the complexity and cost of the operation. If upon completion of the inspection phase it is determined that there are no obvious problems that require attention, the worker does not even need to enter the space. In one application a cost analysis conducted on the use of this video inspection tool had a complete return on investment after less than 40 hours of use. This analysis did not even factor in any consideration to reduction of on the job injury or disability claims from confined space accidents. 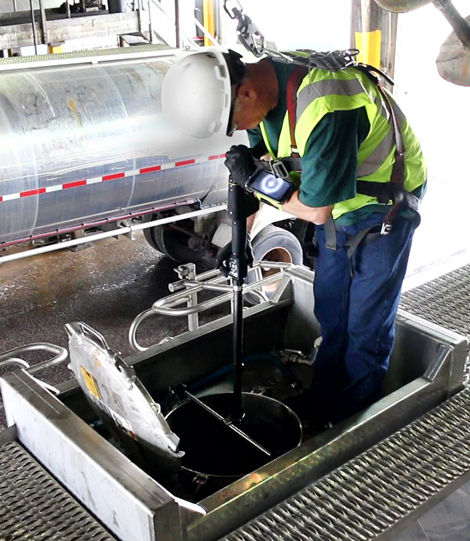 The benefits of using a remote inspection tool such as the Zistos video inspection product to keep workers out of confined or dangerous spaces makes sense on every level. 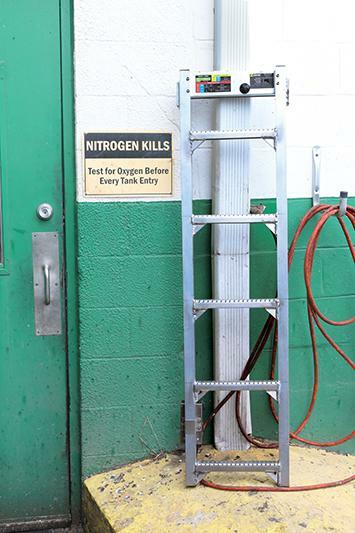 The tools facilitate the sound practice of exposing a worker to a potentially hazardous environment only when the need and safety of entry are confirmed following a visual assessment. The use of this approach benefits both the bottom line of an operation and helps insure the safety and well-being of the primary asset of any industrial concern – their employees. For more information or to schedule a hands-on demonstration of any Zistos system, please visit www.zistos.com or call (631) 434-1370. This Zistos design philosophy stems from over a decade’s experience and the many lessons learned by our engineers and end users in building portable video inspection systems. As a result, instead of designing for a best-case scenario, Zistos equipment has always been designed to operate in a worst case scenario. In other words we do our best to ensure that, when you really need it, it will work as intended. Zistos applications include physical security, tactical law enforcement, urban search and rescue, military and industrial inspection. This means rugged and dependable under any conditions. While they may not have the flashy look of some consumer-grade products, our design build, flexibility and reliability make the critical difference when the equipment used must perform in the field. Wireless vs. wired. Many of the wireless video systems on the market utilize analog video transmitters and receivers that are similar in design and performance to inexpensive consumer electronic systems wrapped around high tech looking enclosures. Many of these wireless solutions are of poor quality, easily detected and can be easily intercepted. They are also prone to a multitude of operational problems based on environment. There are many consumer products/technologies that can detect and intercept wireless video transmission. There are even applications for smart phones that can threaten wireless video security. Video signals can easily be detected, acquired, viewed and recorded by outside parties, media and even adversaries. Although we offer wireless as an option, the built-in wired configuration employed by Zistos avoids all of these risks. StealthSCOPE: A revolutionary new, 9mm diameter videoscope with 4-way articulation, integral high resolution OLED video monocular, self-powered with IR illumination and low light image intensification electronics. See 20+ feet in NO light conditions. Peer into rooms, around corners, and through gratings. ExplorerSCOPE: A revolutionary new, 9mm diameter videoscope with 4-way articulation, integral high resolution OLED video monocular, self-powered with visible illumination and low light image intensification electronics. See 40+ feet in NO light conditions. See into large voids through small openings – look for contraband, weapons, narcotics, etc. Through The Wall Camera Kit: A complete tool kit and camera system that contains special quiet drills, cutting tools, wall bracket, pinhole low light camera, IR illuminator, and display that allows observation into an adjacent interior room through a sheetrock wall. Gather visual intelligence in hostage/barricade scenarios; increase safety in breaching operations. See our full line of tactical products and systems – cameras, poles, scopes, throwable robots, and wireless options – at the Zistos booth (#11174) and enter our free drawing for a Spyderco knife. The Zistos Corporation of Holbrook, NY, recently presented a donation to the United Veterans Beacon House (UVBH) on an unseasonably cold day on Long Island. Photo Caption (L to R): Jacqueline DeLeonardis, Vice President and Director of Client Services of UVBH, Frank Amalfitano, President and CEO of UVBH, John Kennedy, Vice President of Zistos Corporation. UVBH was formed to work with the homeless veteran population of the Tri State area, providing temporary and permanent residence for US Military veterans and their families. In today’s technologically advanced world, the options of communicating have changed so rapidly it’s like a revolution taking place. We are embracing this movement whole-heartedly and are very excited to launch our new website. 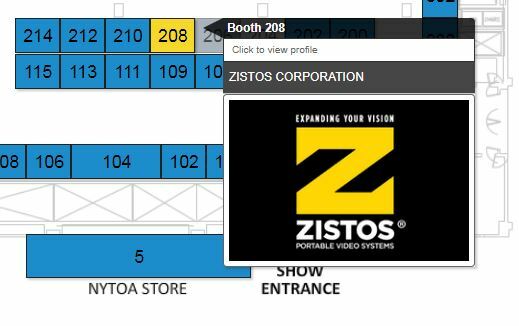 Zistos has always strived to design and manufacture portable, rugged, reliable and cost effective specialized video tools for field use. But we had not always done an adequate job in educating our customers on the full array of our product offering, as well as on the capabilities of both our products and the company.